Simplicity and pleasure, two words that summarise well the programme of this new Cyclades range of yachts. Leave town and civilisation far behind you and go away aboard a Cyclades with your nearest and dearest and live life to the rhythm of the sun. 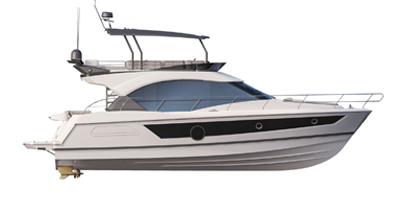 Here are real cruising yachts where convenience is everywhere - double helm position to improve comfort when sailing and moving round the boat, a cockpit designed so that all manoeuvres are really simple, genoa winches near the helm, instrument supports at the cockpit table and on the helm consoles, etc.